It has been a year since Hurricane Maria devastated Dominica and if you drop onto the island for a visit, the recovery continues. The Douglas Charles airport is back in full operation and the Roseau cruise ship berth began receiving ships. Business places are open and the schools are back to near-normal operations. Yes, some areas are still without electricity but most parts have been electrified and cellphones get pretty good reception. Internet and cable TV is still of concern but in the city that is working. If you ignore the many houses that are still covered with tarpaulins you might even be able to fool yourself into thinking nothing ever happened. But Dominica has not recovered. In fact, it's arguably as close to collapse as it has ever been. The power is on and the roads are open, but if you look closely, the entire island is held together with duct tape and wire. People are still counting their losses; some are yet to receive insurance payments while others who lost loved ones like June Franklyn in Pointe Michel, the grief and pain return in surprising ways. Franklyn lost her son Nashun Attidore who perished in her house which was swept away by the raging Siboulie Ravine. "It's sad for me…but I try to move on, I will never forget him because he was a young and prosperous guy; he had dreams and ambitions," she said. She recalled her son plying his trade driving a bus on the Roseau to Pointe Michel route and how he was "dedicated and diligent" in his work. "I miss him every day, he was the right hand for my boyfriend who is a contractor and would ensure that everything was okay. I think of him driving the road and me sitting at work (the gas station) and he would drive pass with a huge smile on his face," she said with a sigh. According to her, she sometimes sees visions of him. 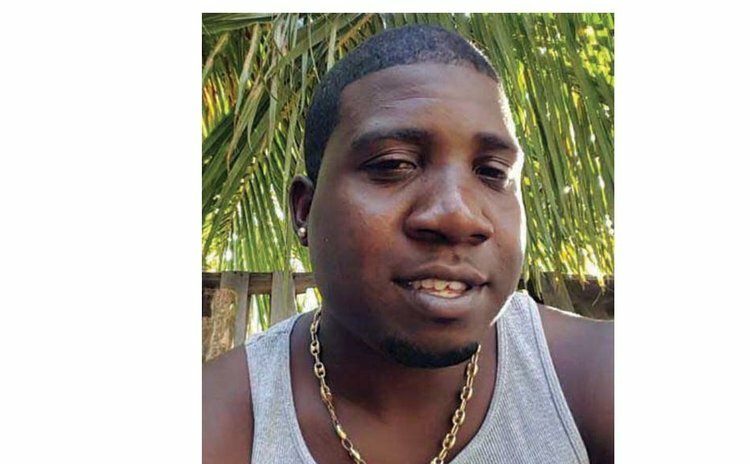 "I think of him coming home, but I have to quickly tell myself that no, he is gone and to add to that I am still homeless so that compounds the pain and suffering that as a mother I have to endure," said Franklyn. As she recalled the final moments she spent with her son at her home on September 18, 2018, she said she wished he had moved with her when they decided to vacate the house. "He was with us home and some friends joined him so he said he was staying and will be safe so we left him….he and the three guys all perished in the house," she said. "It's one year, I am still homeless but God is in control so I try my best to be strong and hold on….and move on….but I am telling you it's sad and painful". The SUN tried to obtain comments from other families in Pointe Michel who lost loved ones during Maria but they said they felt it was much too painful and emotional to speak.